Manny Angelo Varas selected by Florida International University as 2017 Visionary Torch Award Recipient. This prestigious award represents FIU’s finest – they are our torchbearer – Varas is a leader who imparts knowledge and serves as a source of inspiration for all of us. 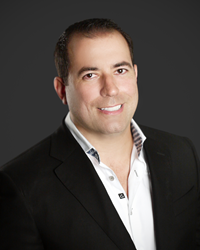 Florida International University, today announces the 2017 Charles E. Perry Young Alumni Visionary Torch Award recipient to be Manny Angelo Varas the President and CEO of MV Construction & Development Group, who is a distinguished alumni of FIU holding a Bachelors & Masters degree in Business Administration (MBA) with Honors. Upon completing graduate studies at FIU, Manny Varas continued to Harvard Graduate school of design where he is also an Alumnus. Varas, 36, who is married to Dr. Brianna Varas, (a pediatrician at Sunset Pediatrics) has a nearly one year old boy and is a well-known South Florida business leader whose accolades include being named Miami Herald’s Business Monday 20 under 40 in 2014 as well as being ranked one of the Top 100 Entrepreneurs in the Nation and having run one of the fastest growing Hispanic businesses in the country. Varas is an alumni of Harvard University Graduate School of Design, he also holds a Master’s in Business Administration MBA, is a state licensed General Contractor, Roofing Contractor, Real Estate Broker, as well as a LEED Accredited Professional by the U.S. Green Building Council. Based in Miami, MV Construction Group is a full-service construction and development company that offers a broad range of luxury construction services. MV Group custom home division currently has under-construction several luxury waterfront homes throughout south Florida including a 20 million dollar Bayfront mansion in Bay-point, 2 multi-million dollar homes on Hibiscus Island, 2 homes on Venetian Isles, and several estates in Pinecrest. MV Group is also building a 22,000 SF building in Miami’s design district as well as many of South Florida’s most iconic and well- known developments, totaling nearly 1,000,000 square feet of construction and $500 million in real estate value.